The importance of yin yang in business hits home in decision-making. Therefore, decision-making processes that ignore it have holes. In decisions, it’s easy to see yin yang as tradeoffs. All decisions have costs. Still, yin yang says more than that. First, yin yang is about integration. In the symbol, the dark and light parts form a whole, a circle. “Closing the loop” and “completing the circle” express this wholeness. Second, each part has a small circle that’s the same color as the other part. It means that each part must bring in the other in some small way to be effective. It also means that if this does not occur and the focus is on pushing to the extreme, then the part will produce results opposite of what was intended. 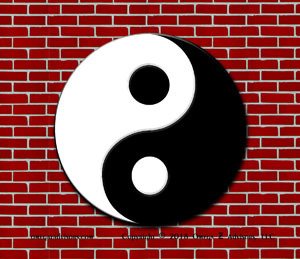 Yin Yang in business finds balance and avoids extremes in decisions and implementation. One does not grasp a decision if he can’t see how it could bring about the opposite of what he intends. The answer ensures that one will implement in the right balance for the situation. For instance, take rules. They bring order. Yet, without flexibility, they make the firm rigid, inflexible. Since the firm won’t be able to adapt to life which is always changing. It will collapse. Disorder will take its place, the opposite intended by rules. As another, take incentive plans. Yes, they emphasize certain tasks. They also encourage employees to pay less heed to tasks not in the plans. It’s those tasks that could have the firm sell less. 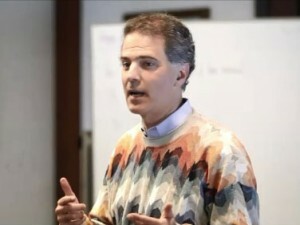 Emphasizing sales over service is an example. Reorgs are another. They intend to bring order too. However, it could bring disorder in the form of confusion to employees. This often happens when too many reorgs happen. Employees don’t gain comfort or confidence in any role. Therefore, the importance of yin yang in business decision-making processes is applying the three steps above. “The road to hell is paved with good intentions,” expresses how good intentions yield the opposite. They’re pushed to the extreme. No attempt at balance exists. Thus, yin yang in business finds balance in decisions and implementation. Firms like people fall when they don’t have balance. It often occurs when they stand on one leg and not two, emphasize one at the cost of the other – the extremes.